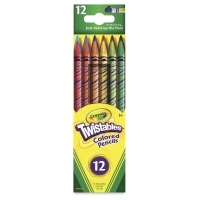 Say goodbye to pencil sharpening with Twistables inventive concept. 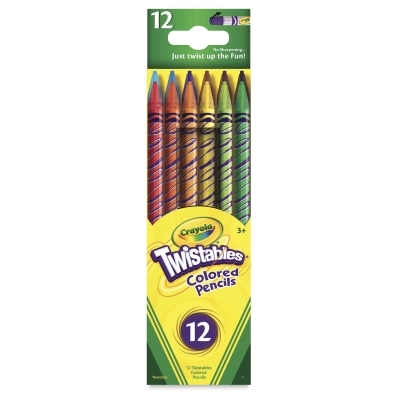 Just turn the end of these pencils and see the colored 2 mm lead twist up through the clear barrel - you're good to sketch! This set includes the colors Red, Yellow, Blue, Sky Blue, Green, Red-Orange, Yellow-Green, Orange, Violet, Brown, Light Brown, and Black. ® Crayola is a registered trademark. Twistables is a trademark.